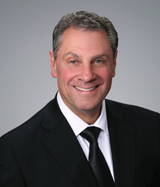 Gino joined Stevenson Real Estate Services as a Broker Associate after an 18-year career in real estate services with the City of Burbank as the City’s Real Estate Manager. Gino specializes in the sale and leasing of commercial and industrial property, medical office, office and post-production facilities in the Tri-cities and market area. As Project and Real Estate Manager, Gino directed and managed acquisitions, sales, leasing and property management for City and Redevelopment Agency properties. He had primary responsibility for escrows, appraisals, tenant relocation, goodwill and fixture and equipment valuation and title issues. Gino was also responsible for street vacations and dedications, acquisition of partial real property interests and other right of way activities. Significant acquisitions include the acquisition of seven commercial, industrial, fast food restaurant, manufacturing and service station properties valued at $6 Million for the realignment of a major intersection, two bank buildings valued at a combined total of $5,000,000 and a refrigeration plant valued at $3,000,000. After graduating from Whittier College in 1968, Gino spent the period from 1968 to 1986 working for the Federal government as a VISTA Volunteer, working as an Assistant in the City Manager’s Office of the cities of Newport Beach, Seal Beach and West Hollywood, as the Property Manager for a private syndication firm, Giglio Financial, as a stunt driver at Universal Studios Tour and as a singer/actor appearing on the Broadway stage.